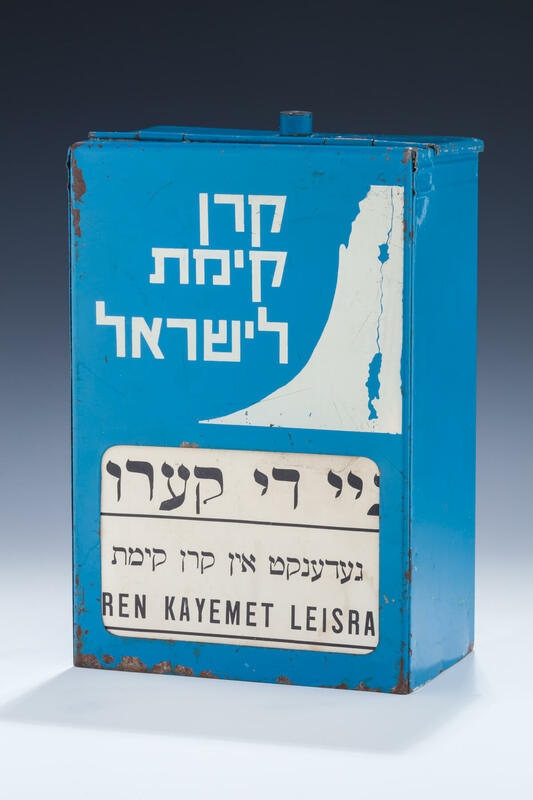 A LARGE JNF CHARITY BOX. Buenos Aires, Argentina. Made by Industrias Chascomus. 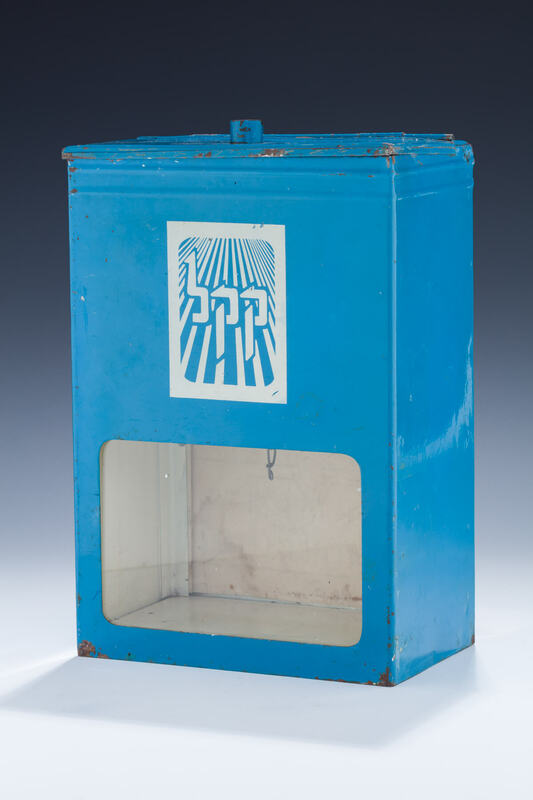 Painted blue and white on metal crafted box. With coin guide link chains and open glass window. KKL insignia in Hebrew on one side and complete Keren Kayemet LeYisroel on the verso. 10.9” x 7.2” x 4.2”.